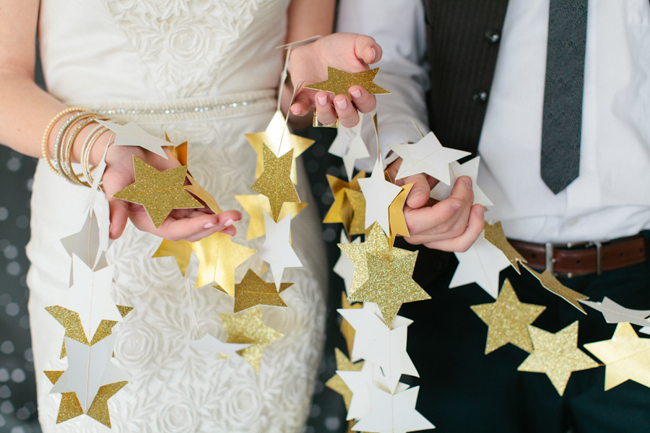 Did you love the star garland from the Modern Star Wars Wedding shoot we shared this morning? 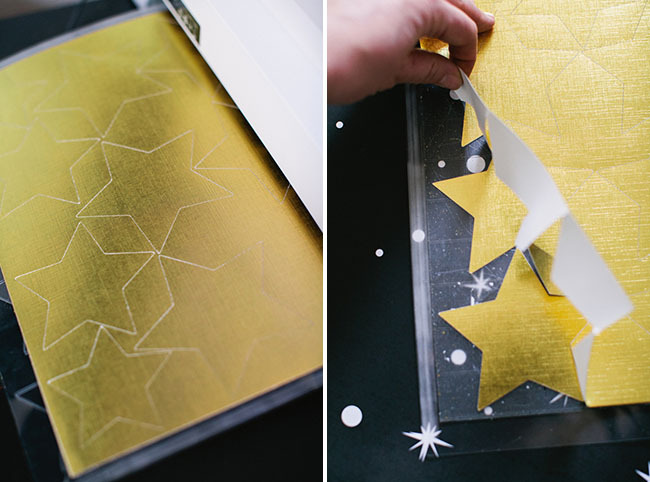 Well, they are pretty easy to make for your own wedding or party and Meg Ruth is sharing how she made them. Thanks Meg! 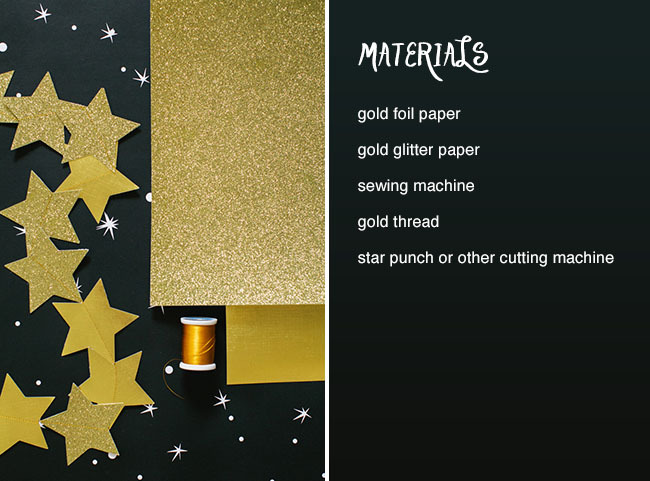 Step 2: Sew stars with gold thread from one point to a non-point, I used a random combination of gold foil stars and glitter stars. The longer the strand the more likely they are to be tangled, so keep that in mind. Step 3: Hang and enjoy! 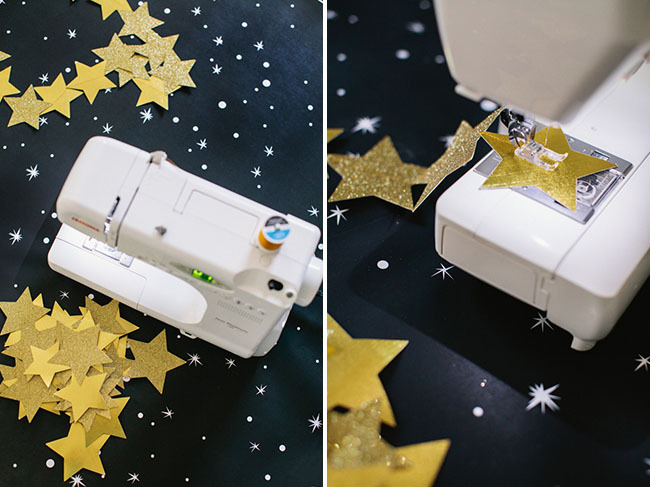 Tip: You can use sticky tack putty to secure paper stars in the correct direction if they’re up on a wall. Or just roll with the spinning stars! Garlands are fun! 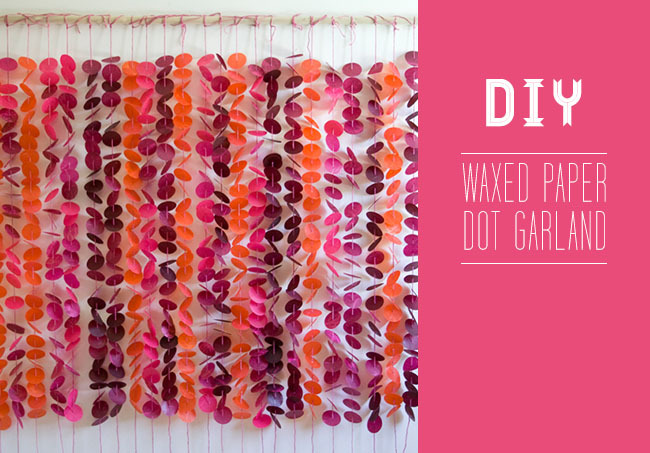 Thanks for sharing this easy to follow tutorial – can’t wait to try it out! I love all the styling!! These are great. 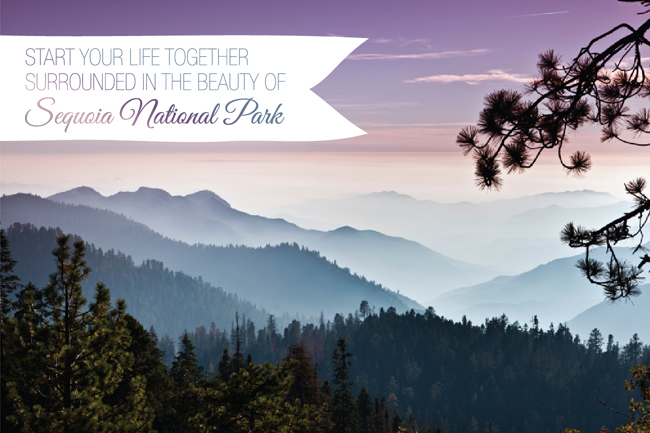 And easy to do! 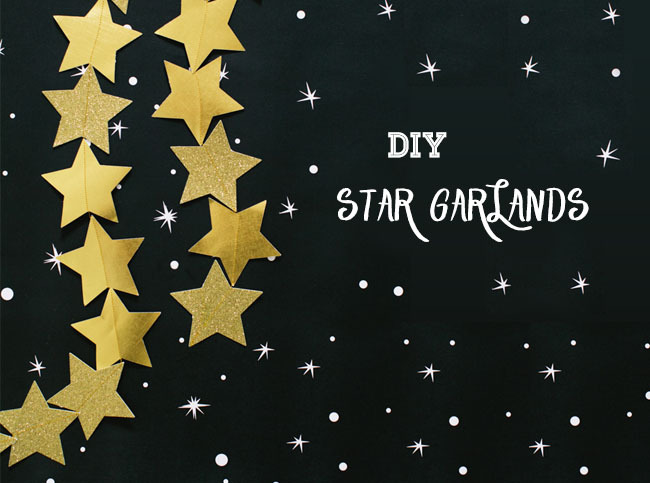 When finished with your garlands, if you want to save or even while manufacturing them cut a piece of cardboard the width of four or five pieces and wrap the garland around it for less tangle. I’ve got baby showers on the brain. This would be so adorable for a baby shower!